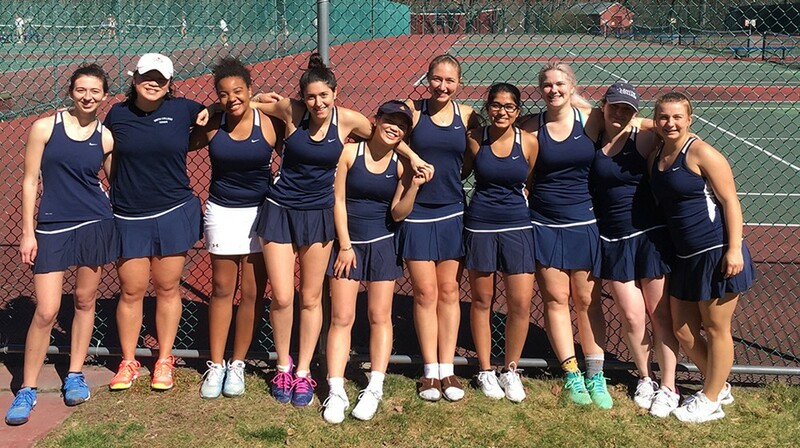 Much has happened with Smith College Tennis since the last entry. The team survived the New England winter which finally seemed to end in early April. During those cold snowy months, the tennis team volunteered with several athletic department activities including Girls on the Run and NGWSD (National Girls and Womens'Sports Day) giving back to other young girls looking for role models and leaders in the world of sports. Smith Tennis fit the bill and the members of the team reached out to the community in a variety of ways while continuing to work on their tennis game. 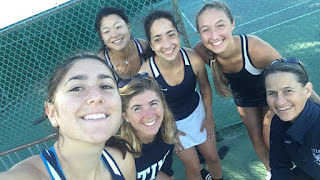 Committed to 6:30am practices beginning in February, Smith Tennis drew on their resources and added new tactics and strategies in preparation for the short but action packed competitive season. The Pioneers hit the ground running with a first match victory over Simmons College. Next, Smith faced Conn College but the Camels were too strong taking the Smith Team down 1-8. 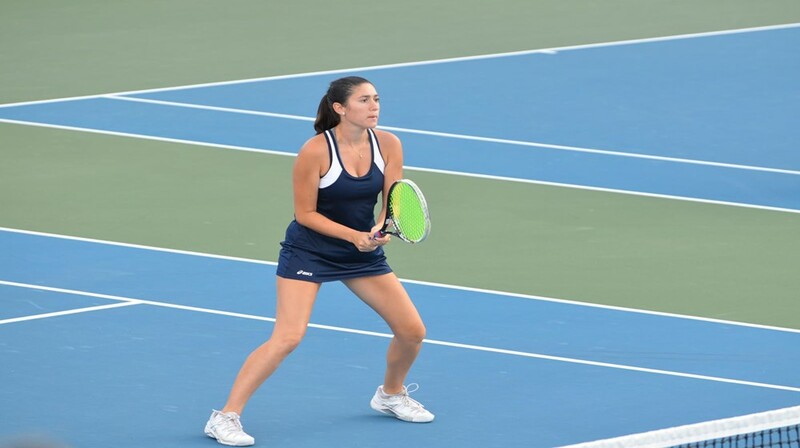 Margaret Anne Smith was the sole winner on the courts that day showing her usual love of the battle and heart for the game winning 6-4, 6-2 over Mariah Smith of Conn College.Smith Tennis players then prepared for Regis College in a home match that was originally scheduled away. Even with the home advantage, Smith could not hold on and Regis edged out a 5-4 win over the Pioneers. This time, Noa Dubin joined Margaret Anne on the winning singles ledger and both teamed up to also claim the number 1 doubles point. Adding to the wins was the third doubles team of Christine Yee and Leigh Johnston who lobbed and poached to an 8-7 tiebreak win but four wins were not enough to claim the victory from the Lions. 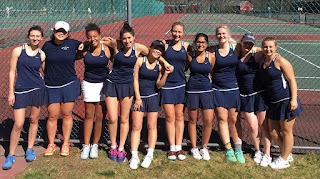 All preparation in early April turned to the tournament highlight of the season; The Seven Sisters' Tennis Championship. This year's event was hosted by Mount Holyoke College. The five team round robin continues to be the highlight of the spring season. Smith drew the top seeds on the first day facing Wellesley in the morning and Vassar in the afternoon. Noa Dubin, Joanna Kim and Margaret Anne Smith rounded out the singles line up for Smith. Margaret Anne Smith (Spring Lake, N.J./High Technology) picked up the lone victory for the Pioneers at the number three singles position. The first set was tight as the Wellesley player struck hard and fast forcing Smith into a defensive mode. Her strong will and determination allowed her to adjust to the challenging hard hitting opponent as well as to the physical challenges of the court assignment. Unable to use her high recovery shot and lobs because of the overhead interference on the indoor court, she was forced to relay on her other strengths. Smith changed pace and hit topspin to neutralize her opponent and to claim the second set handily. Later the same day, Smith College faced Vassar. It was a toss up as to which match to watch as both Noa Dubin at number 1 singles and Margaret Anne Smith at number two singles exhibited some of the finest tennis of the tournament. The history book will never show the passion, desire, fortitude and effort that each player put into her match. Vassar was not going to breeze by Smith College and Noa and Margaret Anne were determined to let them know. Both players went three sets with 10 point match tiebreakers for the third sets. All eyes were on the two matches and hearts pounding as the result of each match was uncertain until the end. Noa dropped the first set to Vassar's Katie Christiansen 4-6 but came back to a 7-5 second set. 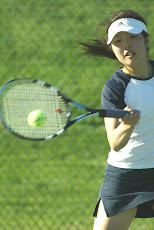 Noa showed her athleticism on every point by anticipating each return and giving everything she had on each ball strike. She reached the tiebreaker by determination, grit and skill but it took even more to hold on through the tiebreak and Katie was the ultimate winner in a 10-5 match breaker finish. Margaret Anne's finish was similar but her style and route to the tiebreaker was much different. She won the first set 6-2 and dropped the second set 4-6 before entering the match breaker. Shayna Becker of Vassar pulled ahead at 3-3 in the breaker in tight long points to gain the victory. All Smith players were gractious in competition against Vassar and gained the compliment of the official for their fighting spirit, outstanding play and overall sportsmanship. In day 2 of the Seven Sisters' Championship, Smith had the toughest competition behind them but formidable competition still ahead as they faced Mount Holyoke College on Sunday morning (April 9). Smith gave their best but went down to MHC 5-0. The Pioneers rebounded for the last match of the tournament with a 3-2 victory over Bryn Mawr. Noa and Margaret Anne brought in two singles victories and Joanna Kim returned to the line-up on Sunday. She was forced to retire her first match at 5-4 over Vassar because of a shoulder injury. 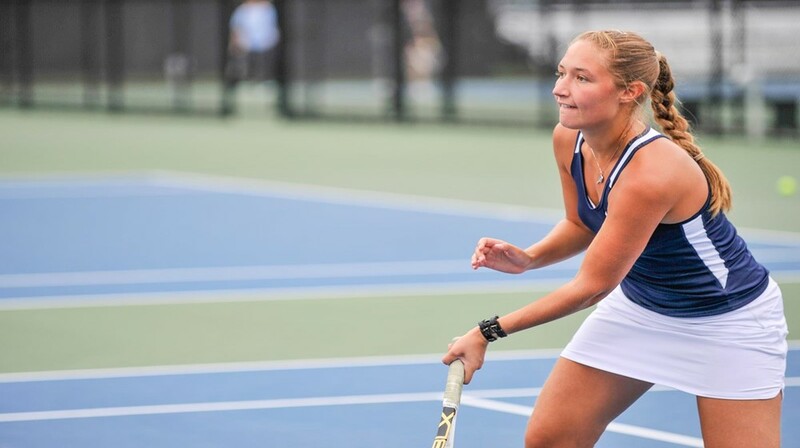 She "girded her loins" and stepped back in the line-up at a crucial time, used her underhand serve effectively and earned the deciding victory for Smith over the Bryn Mawr player leaving Smith fourth in the overall Seven Sister tennis standing. Congratulations to Margaret Anne Smith who was selected for the Seven Sisters' All conference team. Smith faces Colby-Sawyer and Johnson and Wales in the coming week to conclude the season. The Johnson and Wales match is the senior match for Smith Tennis and we invite anyone in the area to join us on Friday, April 14 at 4pm to honor Christine Yee, Kelli Cheung and Margaret Anne Smith.